ENCINITAS — Classical clarinet virtuoso Andrew Moses, 13, is also a black belt in Taekwondo. He credits seven years of study at Marina (Del Rey) Taekwondo with giving him the focus to practice long hours and perfect his skills. At 7:30 p.m. March 15, Andrew will offer a performance in the Community Room of the Encinitas Library as part of the Music by the Sea Concert series. The event is sponsored by iPalpiti Artists International, a Los Angeles-based nonprofit that showcases prizewinning musicians from around the world. Andrew grew up immersed in music, learning the piano at the age of 4 from his mother, Shannon Moses, a voice and piano teacher. His dad, Joel Moses, has a degree in classical saxophone. Joel Moses started Andrew’s instruction with jazz and blues before graduating to classical music. The only problem was that it became difficult for Andrew to stop moving to the music. While it is common while performing jazz and blues, movement is frowned upon by judges in classical clarinet competitions. Audience members don’t necessarily agree with the judges. Andrew is not alone. Martin Frost of Sweden, thought by many to be the greatest classical clarinetist today, also moves while he performs. “Movements always seem to be controversial,” Andrew added. Andrew’s fans will be able to hear him again this June when he fulfills a lifelong dream by performing live on National Public Radio’s “From the Top” show in Houston. The opportunity was presented after he was named a recipient of the Jack Kent Cooke Young Artist award sponsored by NPR. “I have been listening to the radio show since I was a little boy, so I’m very excited,” he said, adding that the $10,000 prize will help with his career by deferring the high cost of sheet music, instruments, travel to master classes and auditions, and tuition for college or a conservatory. 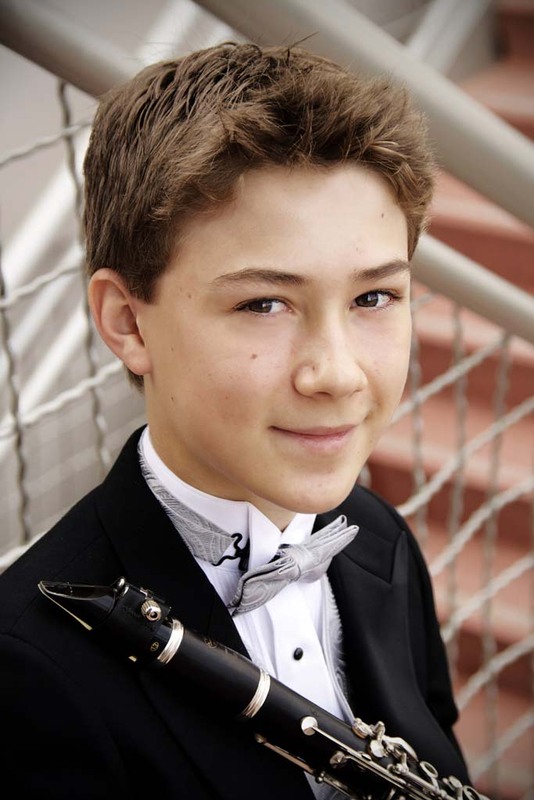 A student of Dr. Margaret Thornhill, Andrew was a top prizewinner in the Midland National Young Artist Competition and the International Clarinet Association High School Competition. He is also assistant conductor of the Glendale Youth Orchestra and clarinetist with the Colburn School Honors Woodwind Quintet. Laura Schmieder is director of iPalpiti Artists International, and chair of the Beverly Hills Auditions and the Consortium of Chamber Music Presenters of Southern California. Under the artistic direction of Schmieder, talented rising artists from Southern California and around the globe are selected at the Beverly Hills Auditions and presented monthly in concert at three venues. The Music by the Sea concert on Friday will be followed by a second concert on Saturday in Manhattan Beach’s The Previews and a third on Sunday in Beverly Hills’ Music In The Mansion recital series in the historic Greystone Mansion. 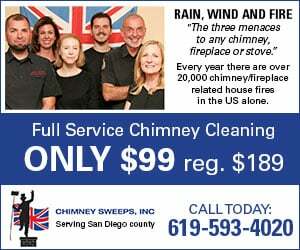 Tickets are $12 and can be purchased at the Encinitas Parks and Recreation office, 505 S. Vulcan Ave. or the Encinitas Community Center lobby, 1140 Oakcrest Park Dr. They are also available online at EncinitasCA.gov/Concerts, by calling (760) 633?2740 or at the door.